In 2018 has been produced boat Bavaria Cruiser 46 named MONDO. This yacht is available from marina Pirovac in region close to Sibenik in Croatia. 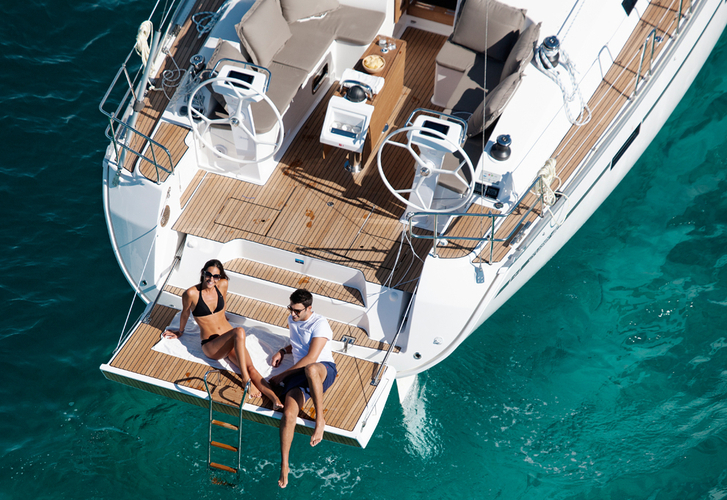 You can board up to 9 persons on the sailboat MONDO. Arrangment of sleeping places is 9 (8+1). There are 4 bedrooms placed below yacht's deck. MONDO is equipped with 3 heads with showers. You can search more boats here: Yacht charter Sibenik. In this sailing boat is applied motor 55. With 14.27 meters of LOA and 4.35 m of beam MONDO offers enough space for comfortable sailing. Bavaria Cruiser 46 MONDO is equipped with: Air conditioning, TV, Radio / cd player, Bimini top, Anchor electric windlass, Dinghy, Internet Wi-Fi, Autopilot, Plotter gps in cockpit, Bow thruster, Microwave, Furling mainsail. . Security caution has value 1500.00 EUR. Use our website to find different boats by going to this section: Yacht charter Pirovac. Bavaria Cruiser 46 Jameson II.